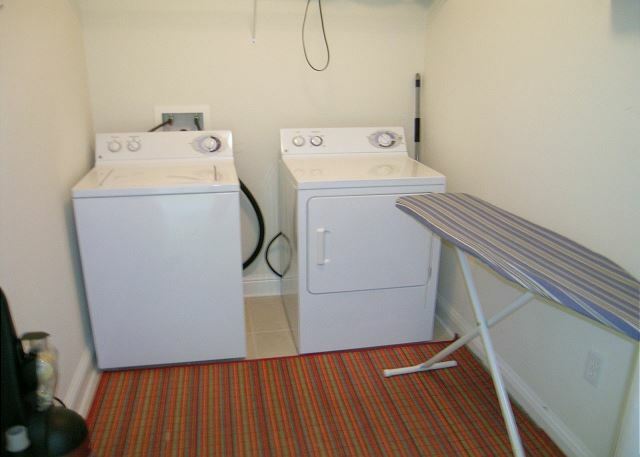 This beautiful, condo is located on the corner of the 14th floor, almost Penthouse Level! 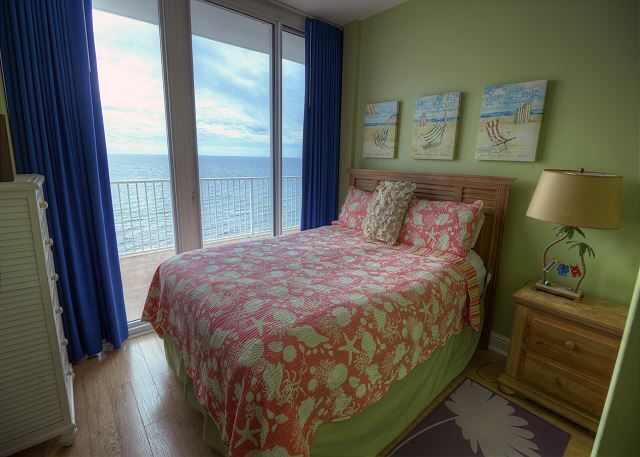 With an oversized balcony and incredible sunset view, you can see for miles down the beach. 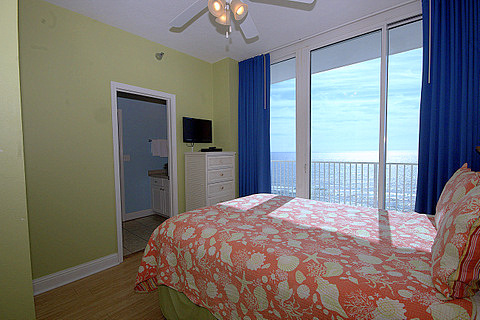 Our unit is professionally decorated in fun bright colors with upscale furnishings. The master bedroom and guest queen bedroom feature deluxe pillow-top mattresses with custom black-out draperies and access to gulf front balcony. The third bedroom is twin over full bunk room that is ideal for kids. 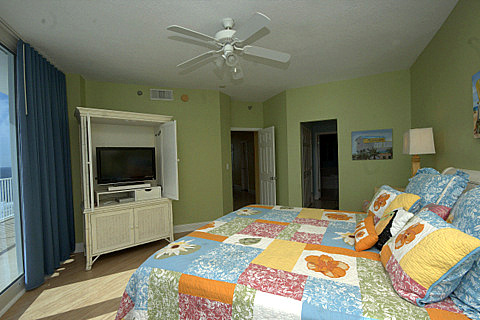 All bedrooms have flat screen TVs with DVD players. 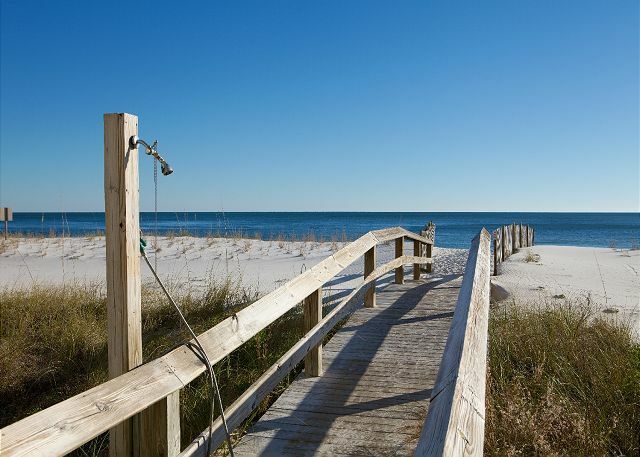 The Lighthouse is the newest and one of the nicest condominium complexes in Gulf Shores, and the largest condominium building on Pleasure Island! The Lighthouse is located directly on the Gulf of Mexico and is near entertainment, restaurants, and shopping including grocery stores. 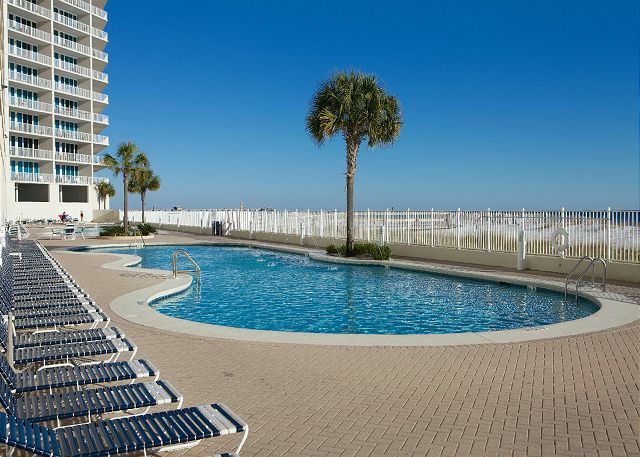 The complex has complete amenities, including: indoor pool, two outdoor pools (one lap pool and one zero-entry pool for the kids), exercise room, and a boardwalk to the beach. The Lighthouse condominium building is located on Highway 182 (East Beach Boulevard), approximately seven-tenths mile east of Highway 59. Drive times are as follows: Pensacola, Florida (45 minutes), Mobile, Alabama (one hour), New Orleans, Louisiana (three hours), and Birmingham, Alabama (four hours). We have stayed in this condo before and always enjoy it. 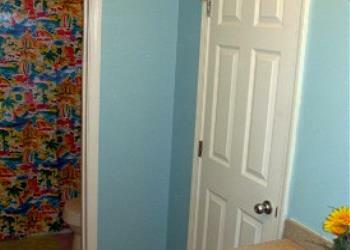 Great view and the condo has been continually upgraded which we appreciate. Beth and Demetri are always accommodating even when we have had to rearrange our schedule. We appreciate the personal touch and my wife loves the Key Lime Pie! This condo was perfect for our group of 9. We will definitely be renting again and can't wait!! We come to gulf shore every October and love the location. The room was great and we will rent it again. 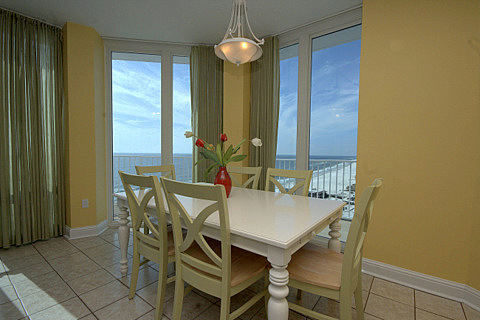 The best place to stay on the Gulf !!! Mr Zitzo was the nicest person you could get no better !" He very helpful and directed is to great places to eat ant go see!! Thanks Mr Zitzo we will be back what a fun fun stay we had! !